Oasis famously used a photo of John Lennon’s childhood home as the cover to their single “Live Forever”. 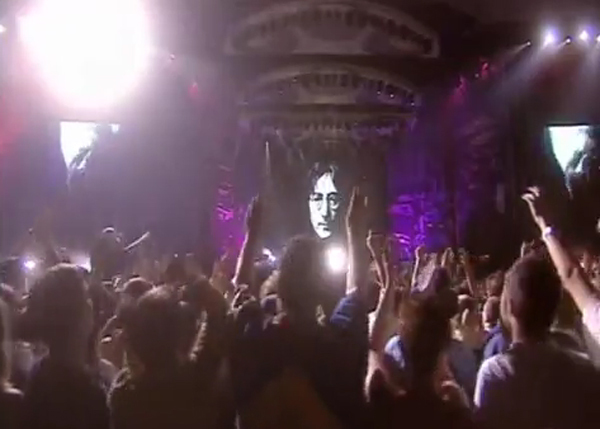 In concert during “Live Forever” Lennon’s image is used as a background to the song. This awesome “Live Screen Film” was shown behind Oasis during “Live Forever” for their 2000 tour. It was also included in the live DVD Oasis – Familiar To Millions.